I had heard great things particularly about the pasta station, La Pizza & La Pasta, so was eager to stop by for dinner. Once seated at a table, I was presented with bread and olive oil with freshly grated Parmesan cheese. No hesitation on my part in grabbing a piece of bread and dunking it in the oily-cheesy-goodness. The subtle flavors were rather enjoyable. Off to a good start so far. For my main course, I ordered the Pasta al Forno al Ragú — or lasagna with Bolognese sauce for any non-Italian speakers. Decent presentation, decent taste. Overall rating of fine, I’d say. 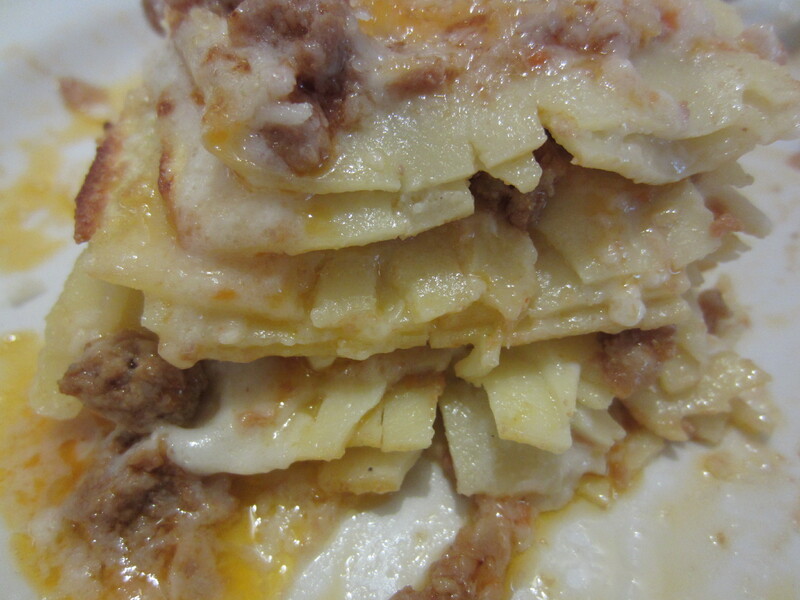 Relatively thin pasta layers for lasagna, but good proportion of ingredients to pasta. I was satiated about halfway through — guess it’s my fault for filling up on bread earlier — but I kept eating because I didn’t want to take home leftovers in a doggie bag. How else would I get to try other new restaurants while I was in town?! 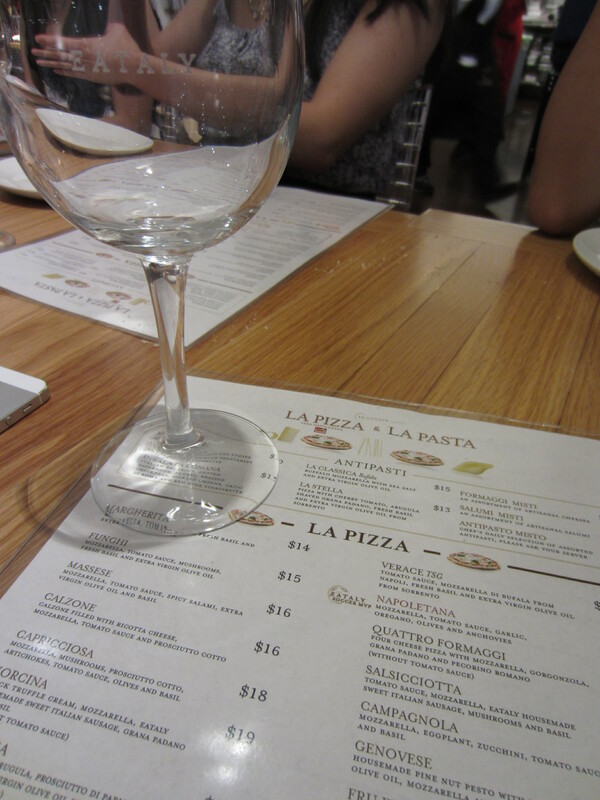 The pizza/pasta station at Eataly Chicago has the same menu for lunch and dinner. Check it out here.